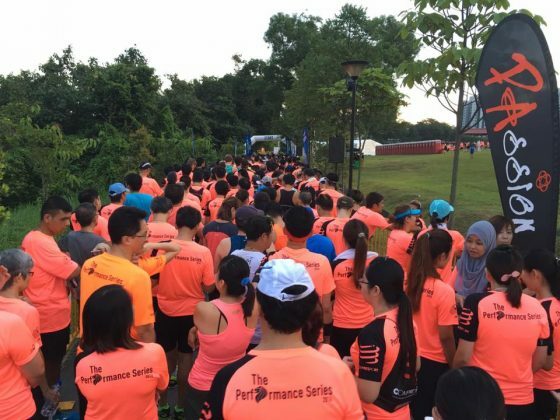 Race Review: The Performance Series, Race 2, Jurong Lake [10km] (by 'red3') | JustRunLah! Gotta love those unsightly mornings when the alarm goes off at 5.45am, which is a good 3 hours before our typical mornings even start. Each time we race we wake up with the same question on our lips “why oh why are we doing this”. Then we remember, it’s the experience, the location, the camaraderie and a great way to participate in local events and hang around with the locals. As an expat it’s easy to disappear into my bubble with all my condo expat friends but I love this country and participating in local events is one small way of integrating a little further into the local culture. 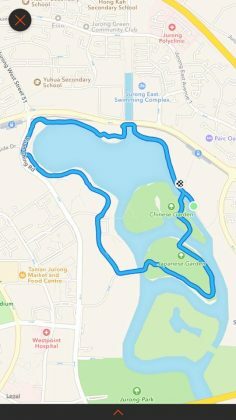 Moving onto the race itself, I’m a big fan of Jurong Lake Park. 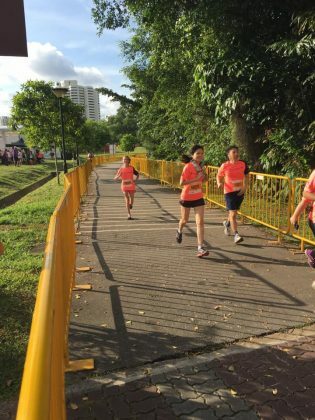 The first time we visited was in 2014 when we participated in the 2.5km Jurong Lake running race with our then 5 years old daughter. Being an afternoon race we enjoyed the post-race activities, the setting sun the beautiful landscapes, pagodas and bridges. Located in the western part of Singapore, the Park was originally a freshwater swamp forest which was eventually cleared in the 1950s for agriculture. It was then turned into an industrial site followed by high-density estates until 1975 when the park was developed. 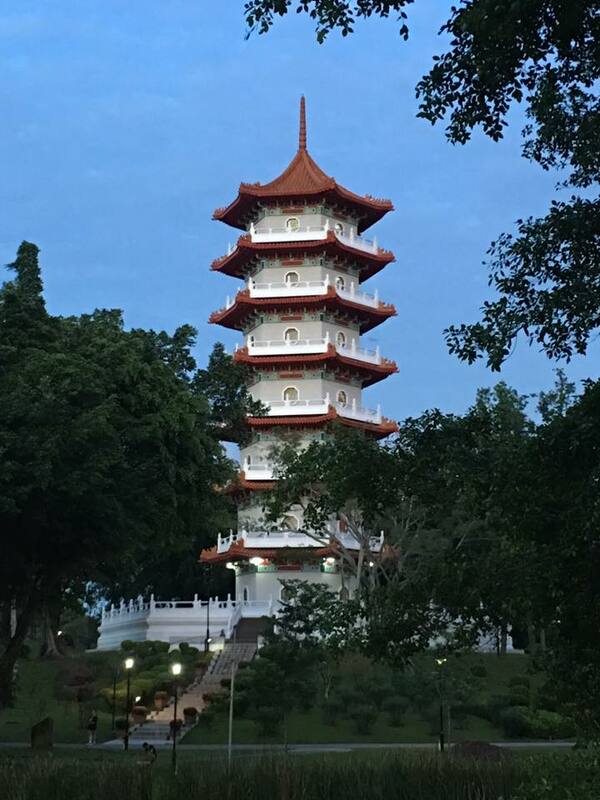 Earlier this year the park commenced closure for renovations leaving only the nearby Chinese and Japanese Gardens open to visitors. This race was timely to have one more visit in such delightful surroundings. The park is anticipated to reopen in 2018. 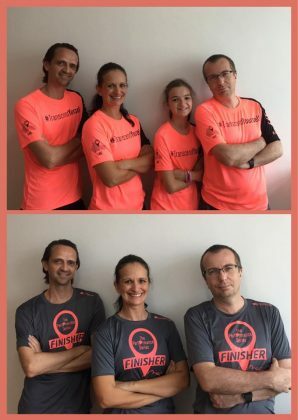 Participating in the 10km category with my hubby, John and friend, Remek (my partners in pain for this series), we looped the lake twice as part of the running route. Heading west the route sidled the 7 storey tall pagoda known as Ru Yun T’a and proceeded its circular direction around the lake past several areas that were already boarded-up indicating tat renovations are already underway. The glaring rising sun was somewhat uncomfortable and the heat more unbearable than usual. Perhaps a sign that my fitness was lagging. That’s what happens when life gets in the way and training takes a step back. 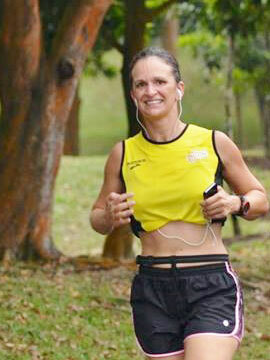 Whilst there were portions of roadside running, there were several ideal photographic opportunities. 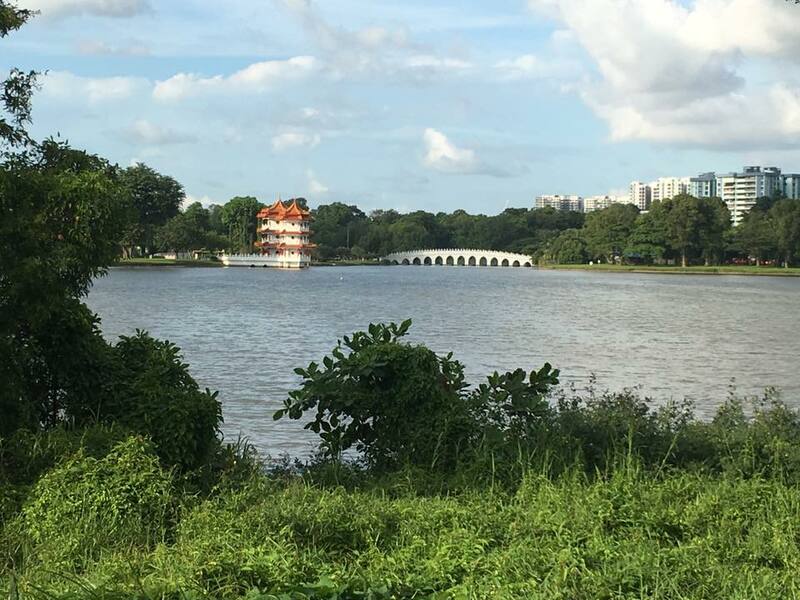 I particularly liked the view of the Pagoda Twins and Bain Hong Qiao Bridge (the White Rainbow) with the lake in the foreground and framed by greenery. 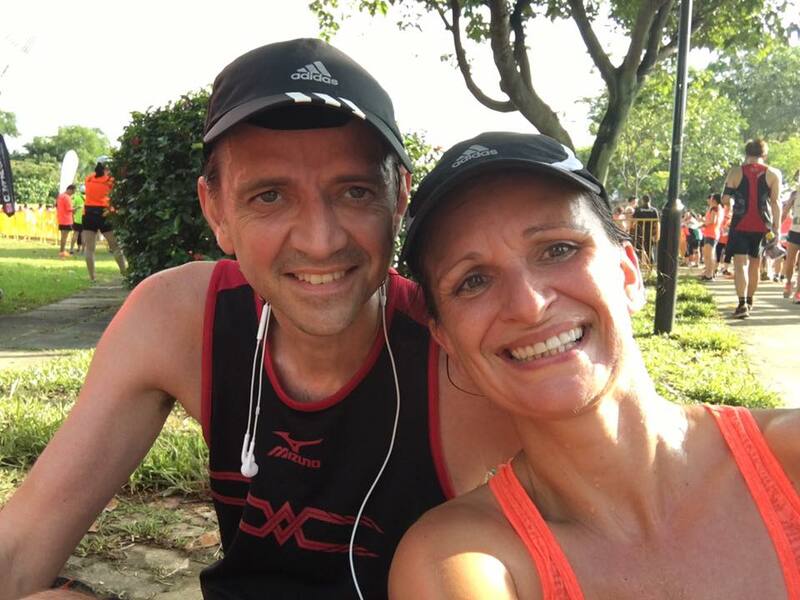 Not having been able to train for 10km distance all my 5km training sessions were evident in the race as I managed to cover that distance comfortably and then struggled through the rest of it. However, whilst not particularly fast I still managed to do better by 9 minutes when compared to the first Performance Series race in Punggol. Finishing the race came as a relief, although the bottle neck at the timing mat was unfortunate due to muddy strips between the end and the finisher medal collection area. The organisers did their best under the circumstances to provide cardboard planks to walk on. I happily saved my new runners. 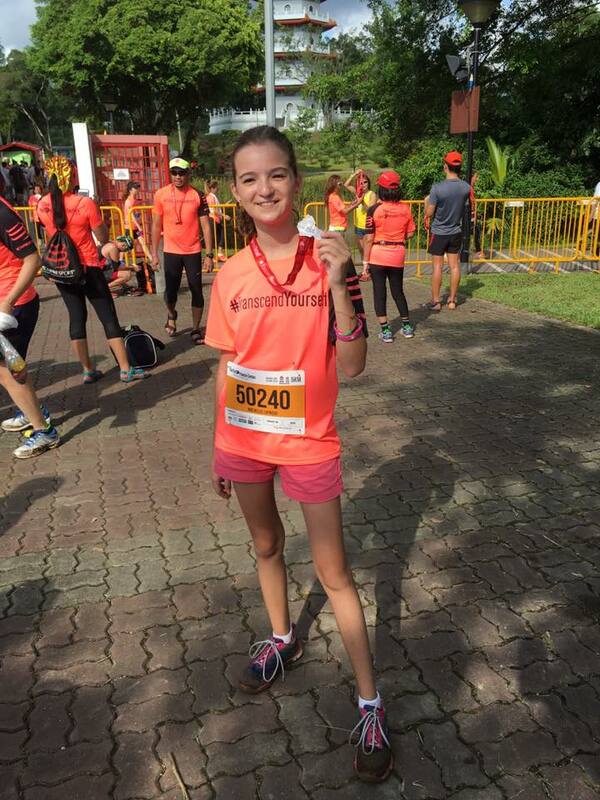 With our category finished we now turned our attention to Michelle (Remek’s daughter) who ran on her own in the 5km category. 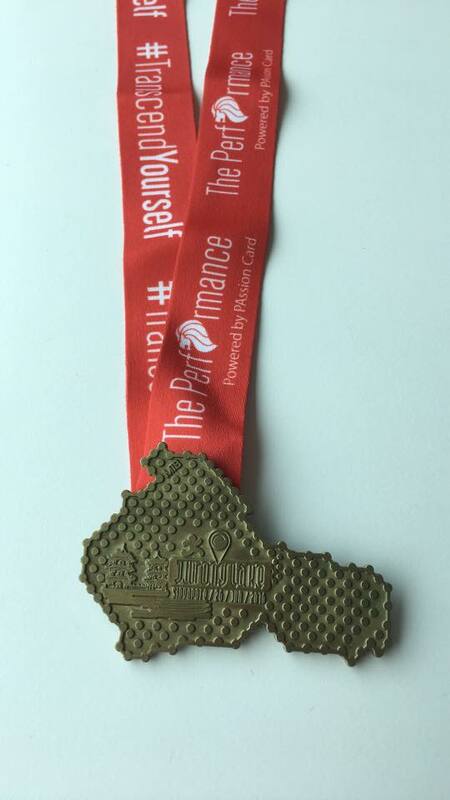 In overall the race was well done but perhaps one contention I had was the lack of water at all the hydration points. Lucozade may be a major sponsor but when I’m thirsty and sweating profusely in a 10km run I am looking for water to hydrate not sugar loaded drinks. 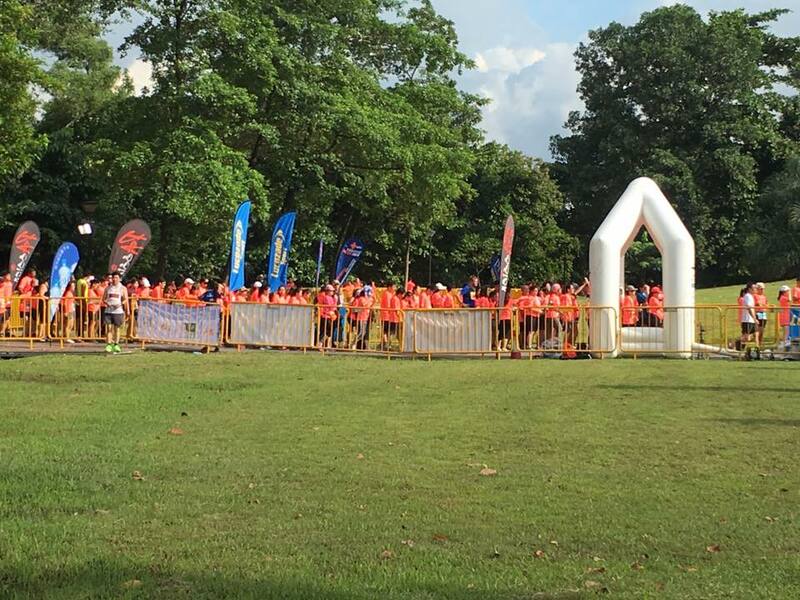 This was the same issue at the Punggol Waterway race back in May. It seems that I may need to carry my own water at the next one although I would prefer not to carry the extra weight. 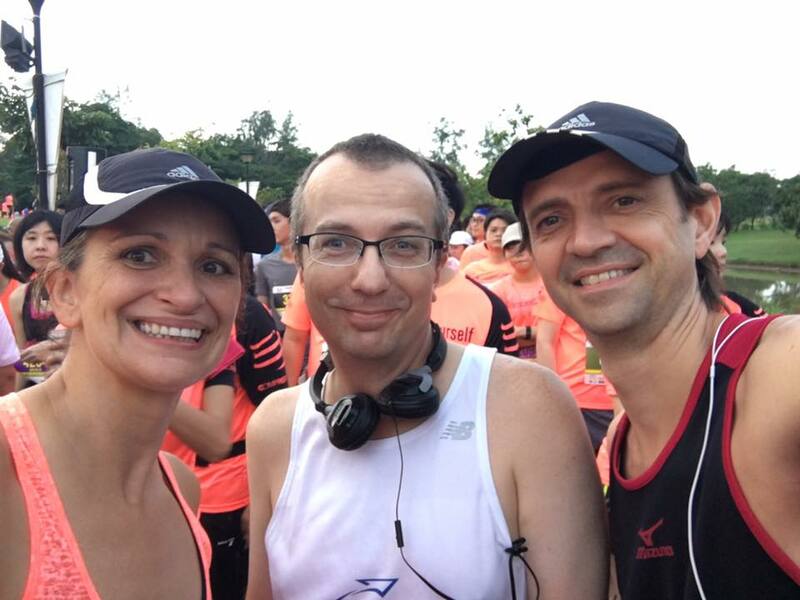 With two out of 5 races completed, I look forward to the Gardens by the Bay race in August. It’s on familiar ground and much closer to home. I may get to sleep in an extra 15 minutes. Here’s hoping.